The old adage that good things come in small packages is not necessarily true in the automotive sector, at least not when it comes to engine size. 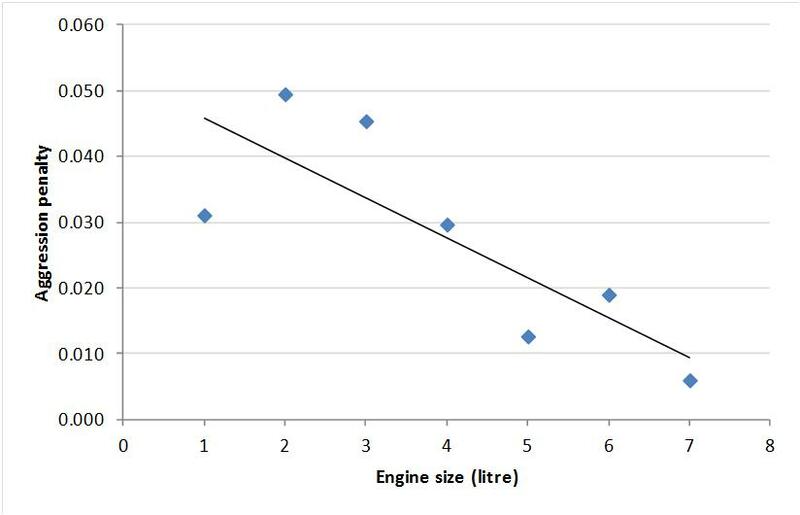 Looking at the data in the table below, based on real-world tests from over 500 model variants, it can be seen that engines under one litre have the greatest variance from their official figures. As well as achieving 36% less than you expect in terms of fuel economy, you will only achieve 3mpg more than the average of all the cars we’ve tested, which includes thirsty performance cars. For maximum fuel economy you should look for a 1-3 litre engine, as these will return around 45-46mpg. And, to avoid being too disappointed with the result, pick a 2-3 litre vehicle as it will be only 15% worse than you were told you could achieve. To understand why these ‘eco’ engines perform so poorly on the road, it’s necessary to look at the miles per gallon penalty of accelerating. The graph shows that the smaller the engine, the larger the penalty acceleration has on mpg. And because the NEDC test has relatively few episodes of acceleration and those that it does have are of a gentle nature, these small engines appear to perform well and receive a high mpg result. That is, until they are taken on the road and driven by real drivers when every rev suddenly burns through the fuel. Now contrast the US data, where the EPA five test cycle contains much harsher boundaries and you can see that although there are large engines and an overall lower average mpg, the variance to the statutory figures is very small. You may not get as much from your tank – average European fuel economy is over 40% better than in the US – but at least you know how much not much is. In fact, the US is at a much earlier stage in the trend towards downsizing than Europe, evidenced by the fact that so far we have tested no vehicles in category below 1 litre. Perhaps the more strenuous EPA tests will put a limit on such downsizing – or, at least, downsizing without down-weighting.